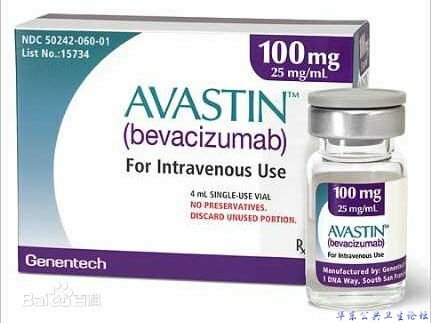 The U.S. Food and Drug Administration today approved Mvasi (bevacizumab-awwb) as a biosimilar to Avastin (bevacizumab) for the treatment of multiple types of cancer. 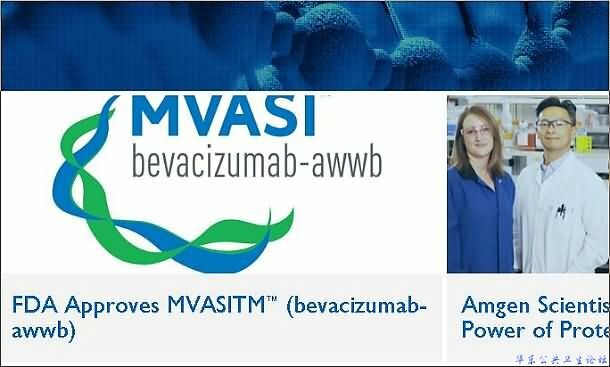 Mvasi is the first biosimilar approved in the U.S. for the treatment of cancer. Metastatic colorectal cancer, in combination with intravenous 5-fluorouracil-based chemotherapy for first- or second-line treatment. Mvasi is not indicated for the adjuvant treatment of surgically resected colorectal cancer. Metastatic colorectal cancer, in combination with fluoropyrimidine-irinotecan- or fluoropyrmidine-oxaliplatin-based chemotherapy for the second-line treatment of patients who have progressed on a first-line bevacizumab product-containing regimen. Mvasi is not indicated for the adjuvant treatment of surgically resected colorectal cancer. Non-squamous non-small cell lung cancer, in combination with carboplatin and paclitaxel for first line treatment of unresectable, locally advanced, recurrent or metastatic disease. Glioblastoma with progressive disease following prior therapy, based on improvement in objective response rate. No data is available demonstrating improvement in disease-related symptoms or survival with bevacizumab products. Health care professionals should review the prescribing information in the labeling for detailed information about the approved uses. Biological products are generally derived from a living organism and can come from many sources, such as humans, animals, microorganisms or yeast. A biosimilar is a biological product that is approved based on data showing that it is highly similar to an already-approved biological product and has no clinically meaningful differences in terms of safety, purity and potency (i.e., safety and effectiveness) from the reference product, in addition to meeting other criteria specified by law. The FDA's approval of Mvasi is based on review of evidence that included extensive structural and functional characterization, animal study data, human pharmacokinetic and pharmacodynamics data, clinical immunogenicity data and other clinical safety and effectiveness data that demonstrates Mvasi is biosimilar to Avastin. It has been approved as a biosimilar, not as an interchangeable product. Common expected side effects of Mvasi include nose bleeds (epistaxis), headache, high blood pressure (hypertension), inflammation of the nasal cavity (rhinitis), high levels of protein in the urine (proteinuria), taste alteration, dry skin, rectal bleeding (hemorrhage), excessive tear production (lacrimation disorder), back pain and skin irritation (exfoliative dermatitis). Serious expected side effects of Mvasi include holes in or abnormal connection between two organs (perforation or fistula), blood clot formation (arterial and venous thromboembolic events), hypertension, problems in brain function or structure (posterior reversible encephalopathy syndrome), high levels of protein in the urine (proteinuria), infusion-related reactions and loss of function of the ovaries (ovarian failure). Patients should stop using Mvasi if these side effects become severe or life-threatening. Women who are pregnant should not take Mvasi because it may cause harm to a developing fetus. Like Avastin, the labeling for Mvasi contains a Boxed Warning to alert health care professionals and patients about an increased risk of holes in the stomach and intestines (gastrointestinal perforations); surgery and wound healing complications; and severe or fatal pulmonary, gastrointestinal, central nervous system and vaginal bleeding (hemorrhage). Patients should stop using Mvasi if gastrointestinal perforation occurs. Patients should not take Mvasi in the 28 days prior to and after elective surgery, and until the surgical wound is fully healed. Patients should stop using Mvasi if a surgical incision breaks open (wound dehiscence). Mvasi should not be given to patients with severe hemorrhage or in patients who cough up blood (hemoptysis). The FDA granted approval of Mvasi to Amgen, Inc. Avastin was approved in February 2004 and is manufactured by Genentech, Inc.